The future as it used to be. I just found my Korg A1 in my processor rack being mute. No signal coming out whatsoever. Nevertheless, the input level leds still light up when I feed in some signal. 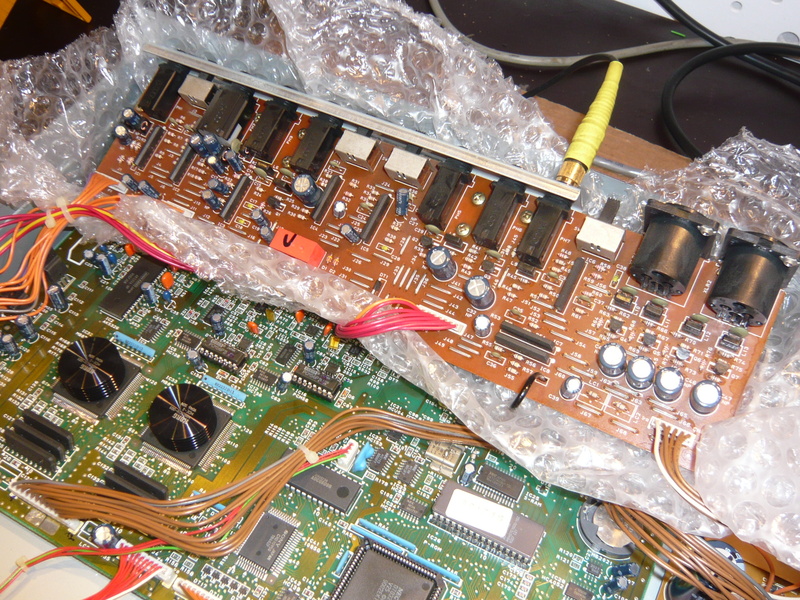 Already fearing for the worst, like 1995 Korg DSP’s dying, I started to investigate for the fault. Plugging in the headphone to the headphone output, I could still, but very faintly, hear the processed signal. Good! 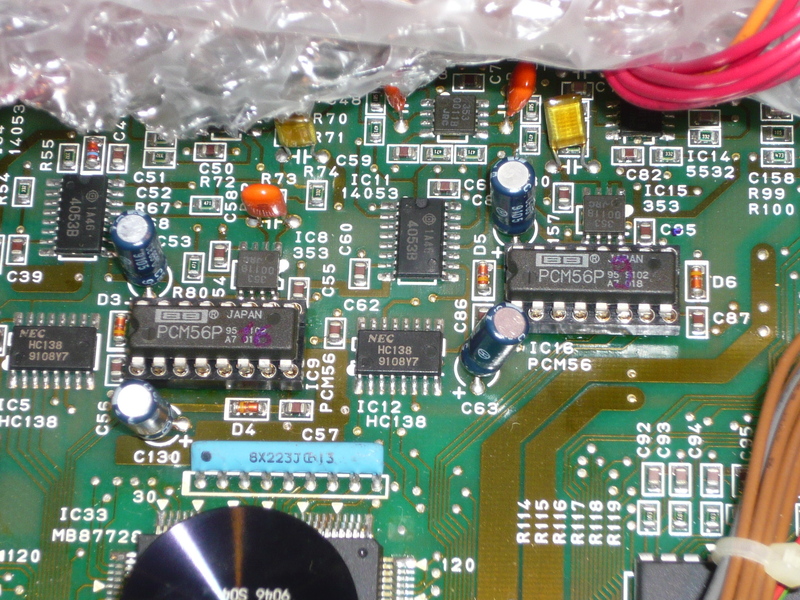 This means, the processing unit is still working ok, the fault can only be somewhere in the output amplifier section. Injected a signal from my signal generator directly into the output amp circuit and tested all stages, signal going through and is being well amplified, so the output amp is not the source of the problem. Luckily, the A1 has got 2 DA-converters on board, one for the main signal generation and another one for the Send-Return path. 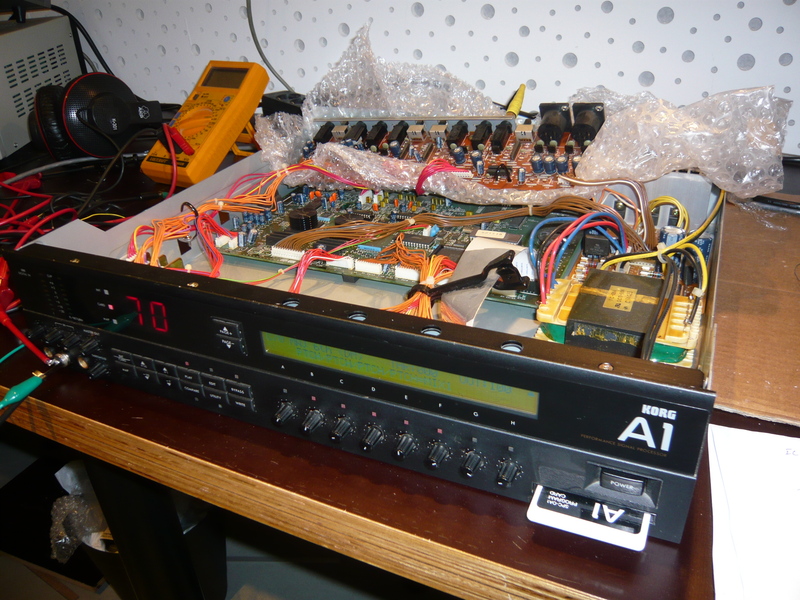 In order to compare the signals generated by both DA’s, I dialed up a patch using the send-return path and fed a signal to the inputs, with the result that a clean and loud signal goes out on the send output, which means, the second PCM56 is working well. Next step, was to unsolder both DA’s, adding IC sockets and switch the relative positions of the DA’s in order to test if my presumption of DA 1 being faulty was correct. With the result: Yes, now the main outputs are working again, and the send output is mute. Just had to order the faulty part (found it at Mouser for 15Euros) and replaced it, so the A1 is back in business again!